One thing that can make your kids happy is by giving them some nice hanging chairs. 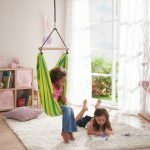 What kind of hanging chairs that they mostly wish? 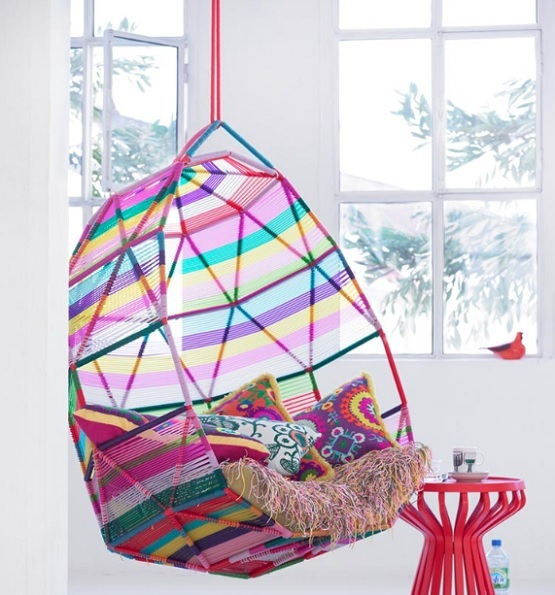 As kids, they must like colorful things, so you can make some colorful hanging chairs for them. 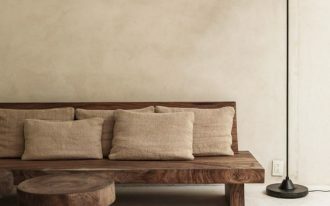 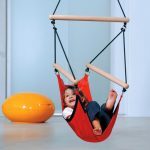 What you need to do is to choose the perfect an suitable soft material for making such a hanging chair. 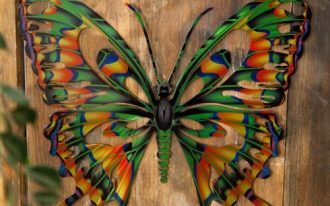 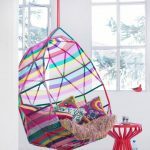 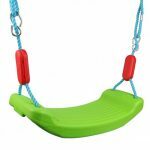 Thus, just keep reading on this article, the writer will show you some of those colorful hanging chairs for kids. 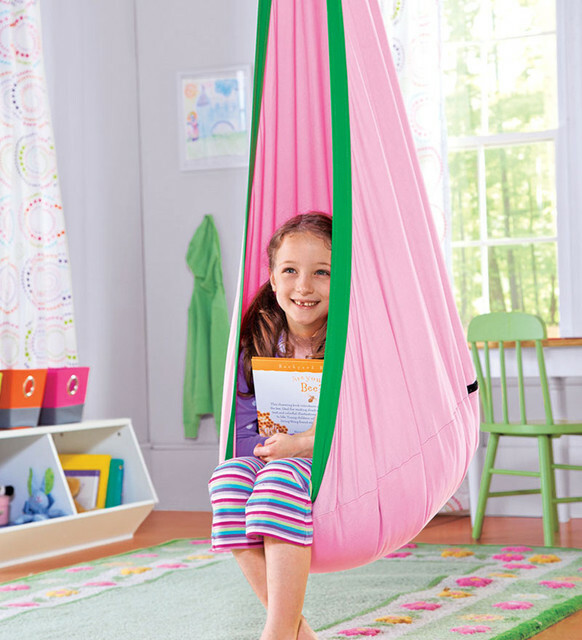 If we talk about the material used, you can use soft cloth to make a hanging chair for the kids. 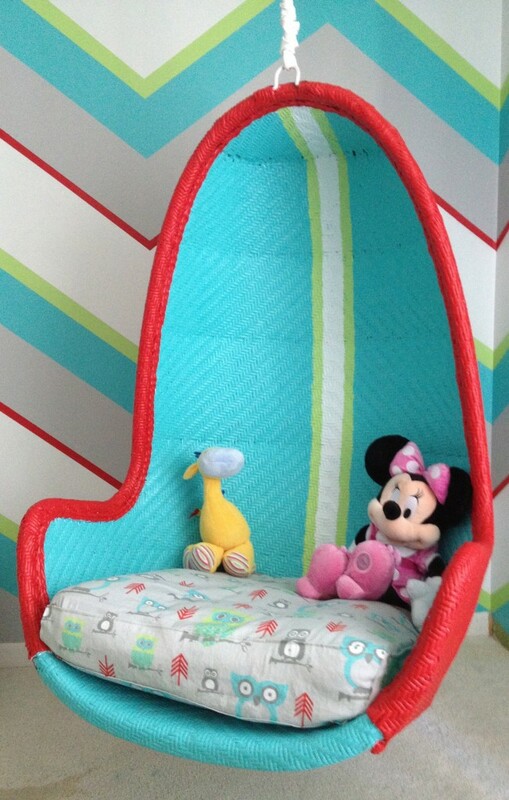 You can see the sample in the picture, there are some hanging chairs made of clothes with various colors choices. 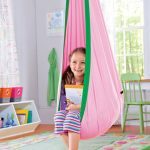 You should also use tough rope to hang this cloth hanging chairs. Or you may also to use spring rope which is elastic and your kids must be excited to shake it up and down. 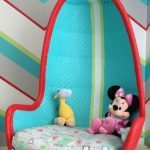 You can make a hanging chair for your kids with larger design, so your kids can put their stuffs on the chair like dolls, and etc. 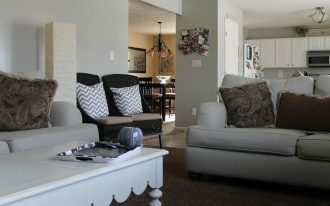 You can put a pillow for sitting on the chairs. 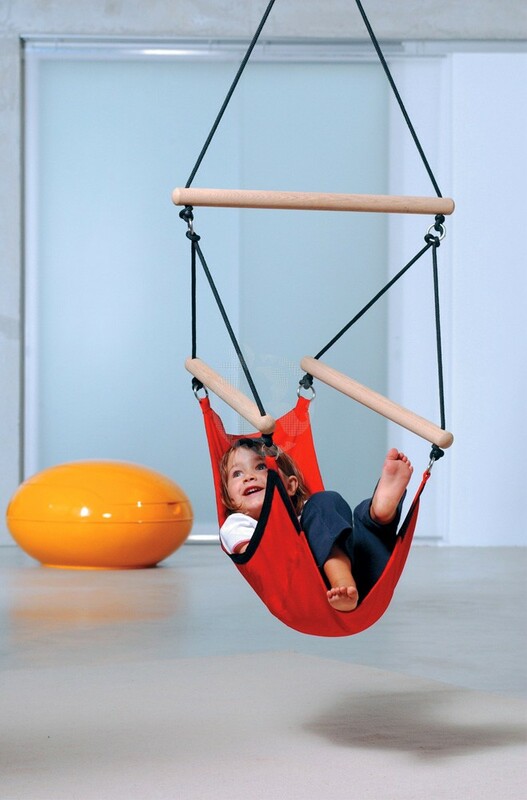 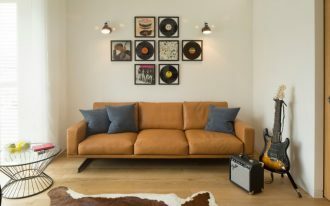 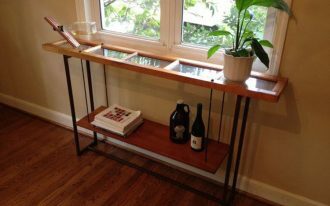 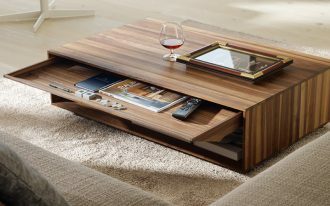 You can also use double concept which is hanging chair with swinging chair. 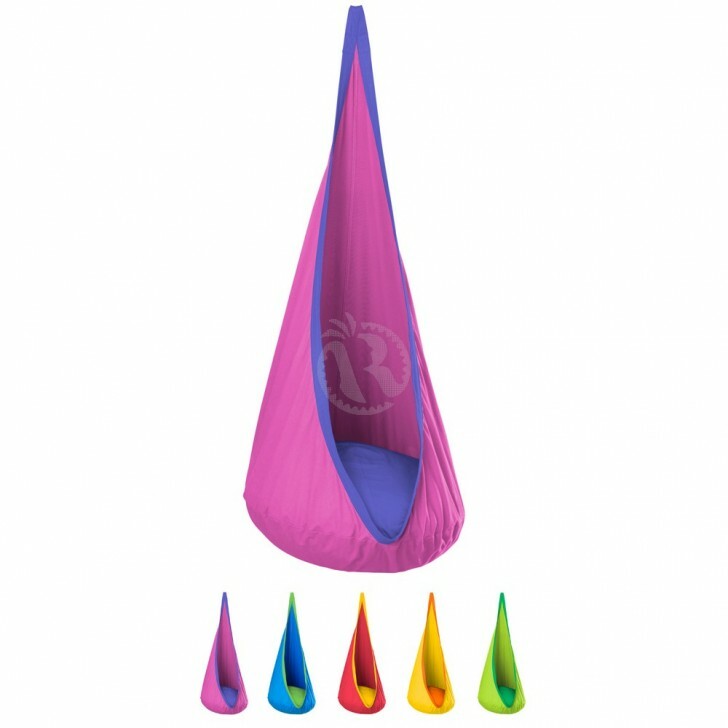 This concept used double ropes put on the left and the right side of the hanging chair. 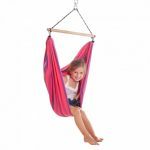 You can either make this hanging chair of a plastic material, but you have to choose the tough plastic. 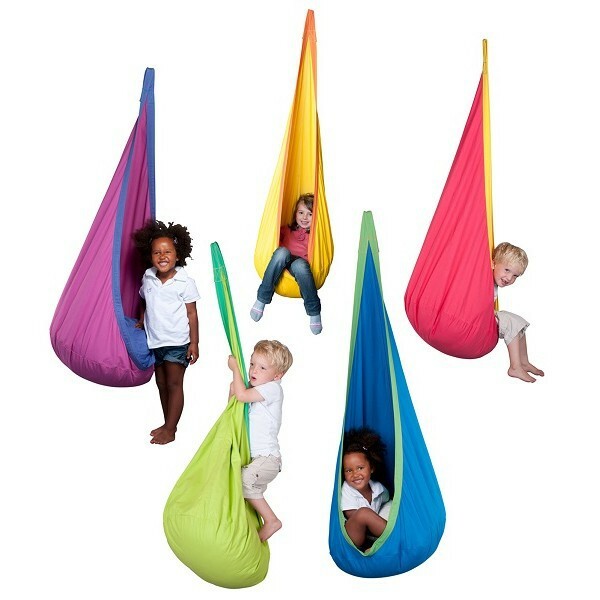 Those are some samples of hanging chairs for kids. 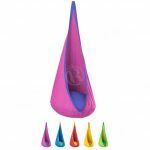 You just need to choose the color they like, for example, girls like the color of pink or purple, but boys mostly like the masculine color like dark, black brown color. 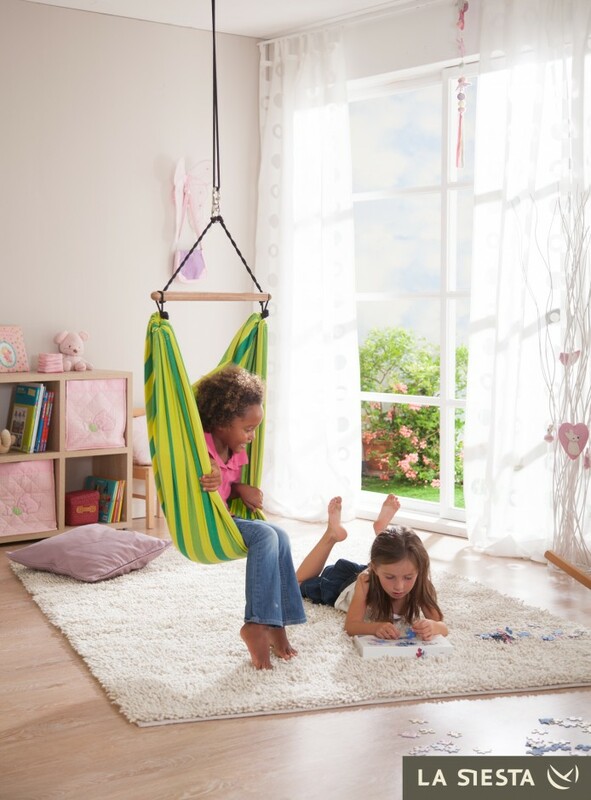 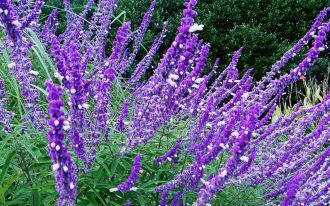 And do not forget to choose the strongest rope, so that your kids do not fall down and get hurt.